string(1105) "Resource Centre > Uncategorized > Africa’s Changing Place in the Criminal Economy"
This report is a broad overview of Africa’s multiple and changing connections to global criminal markets. Over the past two decades, Africa’s role in the global criminal economy has shifted. The impact of organised crime is widespread and growing, yet it is little understood. 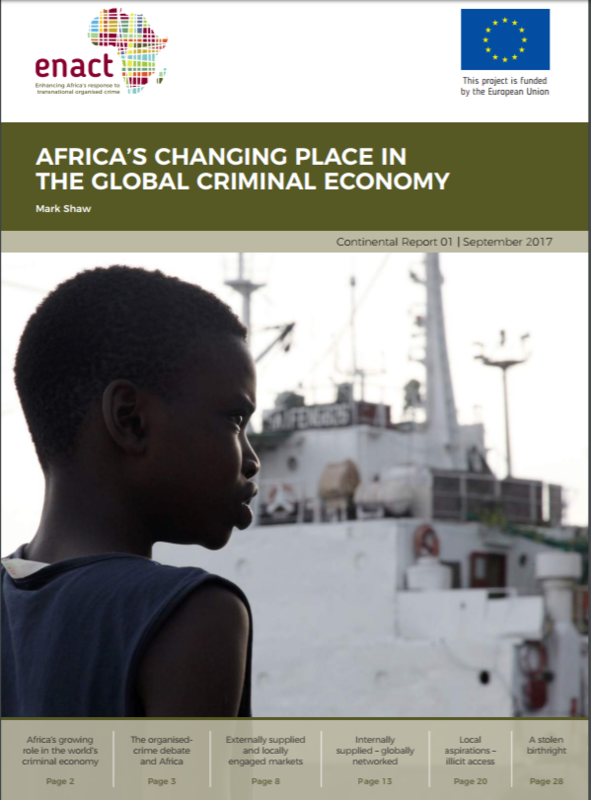 In this report, the ENACT project focuses on understanding organised crime in Africa by examining wider trends in the global criminal economy.